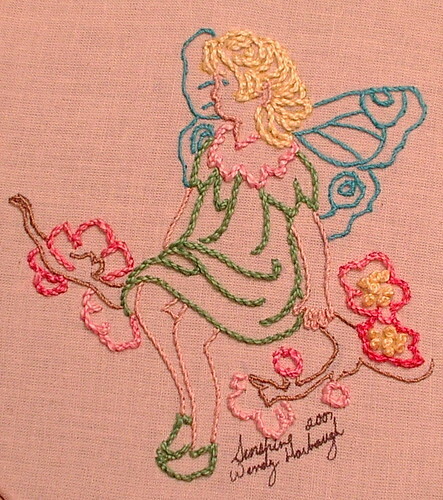 Fairy I embroidered late Saturday night for a swap. Skin, wings and branch use size 30 crochet thread; rest is size 5 embroidery thread. I was experimenting with thickness of thread for depth and softness. Don't know if it worked well. The first one actually shows the knot stitch up close for a second ,and you can replay that part to learn it. The second is eye candy. Here is a link to all the Oya posts I have done in case you want to see what has or has not been found on the subject.